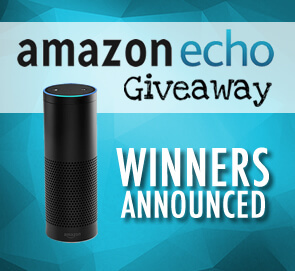 We've recently wrapped up our Amazon Echo Giveaway! The big prize this month, the Amazon Echo, is a 360 degree speaker that is completely voice activated. The Echo can play music and search the web. It even syncs with multiple wifi enabled devices, such as your thermostat, lights and more. It's the latest trend in home automation, and we are excited to let three lucky fans of Logan Services enjoy the new product! Sara tells us that she's wanted an Echo ever since they came out. Being a busy mom of 4 kids, she doesn't buy a lot for herself these days, so we are so extra excited to give her this awesome gift! Thanks for entering Sara - we hope you enjoy your Echo! Toni tells us, "The Echo will be very helpful for my disabled husband. Once he is in bed, it is inconvenient for him to get up again if he forgot to turn off the lights." Toni also mentions that they would enjoy Alexa reading books to them and helping them with recipes in the kitchen. "What I like about the Echo is that it is always on, always connected to the cloud, and always waiting to help!" Chris is a recent customer of Logan Services, and he is excited to sync his new Echo with his Nexia Wi-Fi thermostat he received with his new Trane system. Thanks for entering Chris - we hope you enjoy your Echo and complete home comfort!